For quality, full service auto repair, Abilene TX drivers pull into Procter Automotive. For nearly 70 years, we have been a leader in the area for customer satisfaction and honest, affordable pricing. Our technicians are ASE certified and knowledgeable about all types of cars, trucks, and repairs. Whether you need auto brake repair, transmission help, or a basic oil change, let us take care of your vehicle. We understand cars inside and out, new and old, domestic or imported. 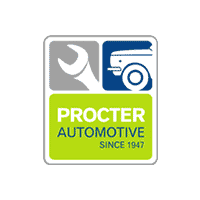 When you bring your car into Procter Automotive, you can expect great service right from the start. We will provide you with an auto repair estimate before we begin the work, and keep you up to speed on any changes, additional work that needs to be done, or when you can expect to pick your car up. Our honest approach to full service auto repair gives the Abilene TX area a go-to garage they can trust and depend on. You count on your vehicle and you can count on us to keep it running at its best. Auto brake repair, standard maintenance and more extensive auto work can all be done in our facility. With reasonable prices, friendly service, and experienced technicians, no other Abilene TX garage offers full service auto repair like we do! With 70 years of experience and a dedication to customer satisfaction, we are also the only AAA approved shop in Abilene! Call us today at (325) 672-9894 or schedule your appointment conveniently online for all your auto service needs.